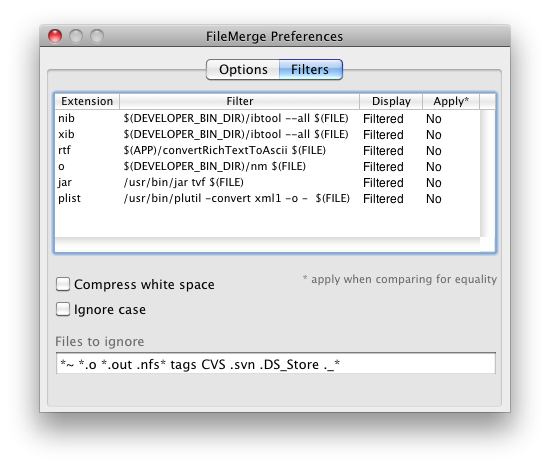 This doesn’t work for me in Filemerge 2.5. I select the files to diff, hit compare, the dialog closes but the diff screen never appears. Uhhh… Well it is still working for me and still working in FIleMerge 2.5 (build 1633.0). In fact I just found out about /usr/bin/textutil which can be used to convert doc, docx, and some other formats to text. I’ll post another blog update shortly about this.